As the month of January comes to an end, more and more new projects have hit the streets. The man behind the legend was unveiled last week in Future’s new documentary, The Wizrd. The multi-platinum trap star spoke on a variety of topics, including his recording process, fatherhood, the loss of his engineer, the importance of keeping it real and so much more in the flick that featured commentary from Andre 3000, DJ Khaled, Rico Wade, Metro Boomin, Southside and others. The doc also served as a preview to Hendrix’s seventh solo album, Future Hndrxx Presents: The Wizrd. The new LP features Young Thug, Gunna and Travis Scott. Chief Keef looks to keep the momentum going from 2018, a year in which he released a whopping nine projects in total. Sosa delivers his latest release in the form of the mixtape The Leek, Vol. 7. The 12-song project features Gucci Mane on the single “Jet Li.” It is the follow-up to The Leek, Vol. 6, which Keef put out just over a month ago and featured OJ Da Juiceman and Tadoe. Determined to shine, Florida’s YNW Melly won’t let anything hold him down. Although his new year began with a couple of misdemeanor charges that landed him in some legal trouble, the “Murder on My Mind” rapper made sure to still deliver his latest project, We All Shine. With 15 tracks, and a bonus cut, the mixtape houses a coveted Kanye West collaboration. 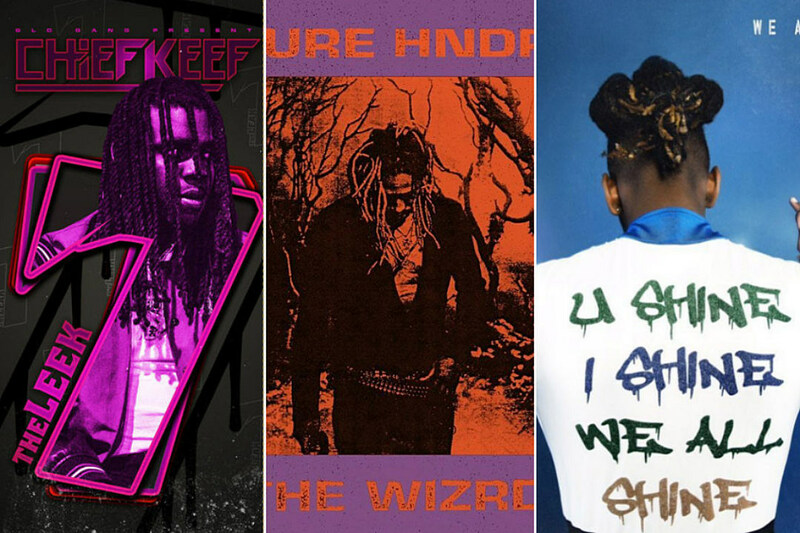 Check out the latest releases from Future, YNW Melly, Chief Keef, Malibu Ken and more below. TF Entertainment/Money Comes First Ent.